Does My Business Need a CRM Software? Even if you’re relatively new in the entrepreneurial scene, chances are good that you’ve already heard of these great business tools that can help you with your Customer Relationship Management (CRM) activities. From increasing your sales to decreasing your overhead costs, having a CRM tool sounds like a dream come true, right? But it’s important to know, what exactly is a CRM tool? What can it do for your business specifically? CRM stands for “customer relationship management.” CRM is a collection of tools, technologies, strategies and best practices used to collect, store and analyze the data of a business’ customers. This includes the various interactions with these customers throughout their lifecycles. A simple way to look at it: CRM collates and interprets the data you get from your customers, which you can then use to improve your relationships with them, drive sales growth and increase the chances of brand loyalty. There have been many misconceptions as to what a CRM tool can do so it’s important to have a clear picture and realistic expectations in place. Some business owners think that their CRM tools are magically going to bring forth immense growth for the company. 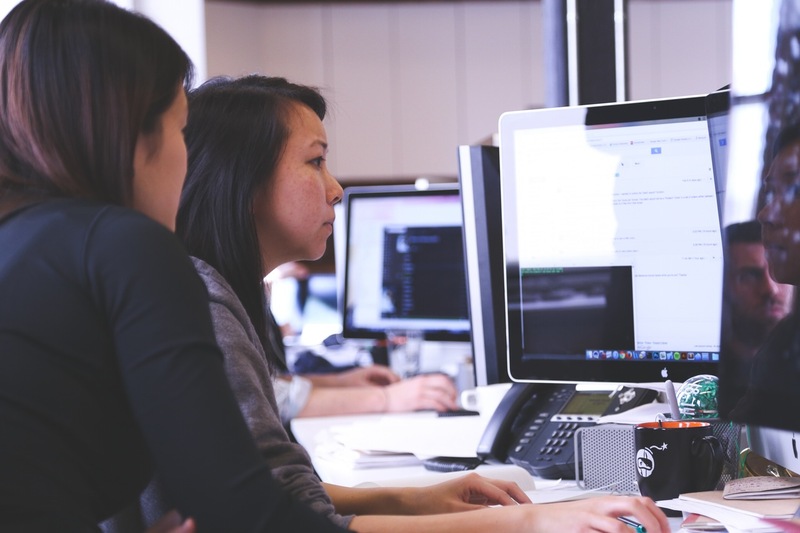 Others believe that CRM’s promise of lowering overhead costs is enough reason to reduce the sales team in terms of size but a CRM tool should never replace a sales person but rather complement their work. These misconceptions can lead to under utilizing your software and sometimes implementation failure. CRM tools will not go ‘abracadabra’ and magically solve your business problems. Proper planning needs to go into the implementation and use of these tools in order for them to be effective. 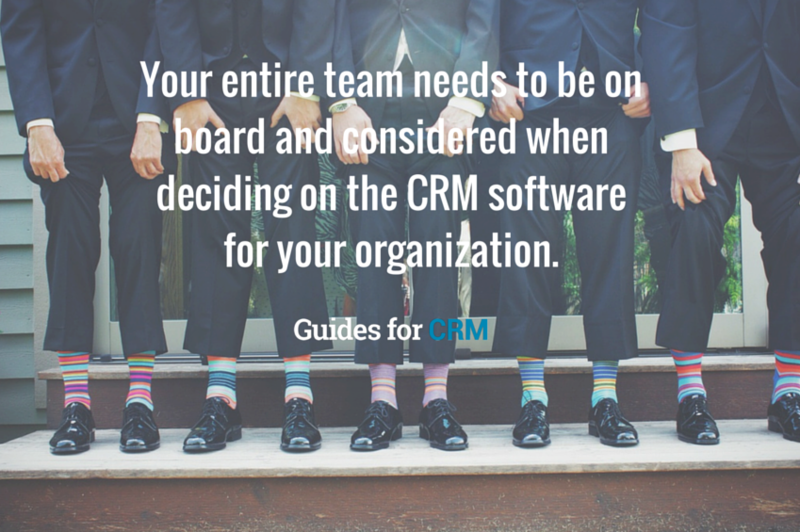 Your entire team needs to be on board and considered when deciding on the CRM software for your organization. Does my company need a CRM? CRM tools help business owners make better decisions based on hard data from both past and present customers. As an example, a CRM system can be used to quickly retrieve data on the services sold last year through the automatic generation of a detailed report. While these reports supply great information to your business’ team, CRM reports cannot tell you if the lineup of services rendered in a fiscal year are good or bad for the organization. It’s the job for your analysts to comb through this data and determine the best plan for your company’s needs. A clear understanding of what CRM tools can and cannot do will help you maximize investments made in the integration of these systems. Before investing in a CRM software, you need to first take a look at your organization’s particular needs. Having a single data hub is very beneficial for mid to large-scale organizations as these save time when locating hard data necessary for decision-making. On the other hand, some small businesses can manage their customer data simply by using basic data input software like Excel. However, these programs may lose their functionality when it comes to large-scale operations, especially if you have offsite offices that need access to a single data hub. –CRM tools can give you a progressive view of your business. The data can reveal patterns that can help increase your efficiency in the long run. -CRM reports can provide decision makers the necessary hard data to make educated business decisions. -CRM reports can show the leading indicators of a business’ profit metrics. -A well-placed and well-utilized CRM system gives businesses the ability to be pro-active about their customer development. -CRM reports can help the marketing and sales departments tweak their initiatives based on hard customer data and purchase histories. -A logical interpretation of the CRM reports can help grow your business by identifying opportunities for existing or new products. -The customer’s history and purchase activity can help salespeople improve their lead generation and help guide their customers towards the sales funnel more effectively. -CRM tools can be used to promote customer service best practices. The data can help your front-line employees in their daily customer interactions, building relationships and improving customer retention. A CRM system provides your business with a tool to cultivate customer relationships through the collection and interpretation of data. Think of CRM as a customizable tool that can help improve your day-to-day sales/marketing operations but keep in mind that it can’t do the job on its own. CRM tools work to continuously improve your business processes and your investments made in these tools can help you reduce overhead costs as well as empower your business to make better decisions. Embracing your CRM software can foster stronger relationships with your customers making you a more secure organization long term.